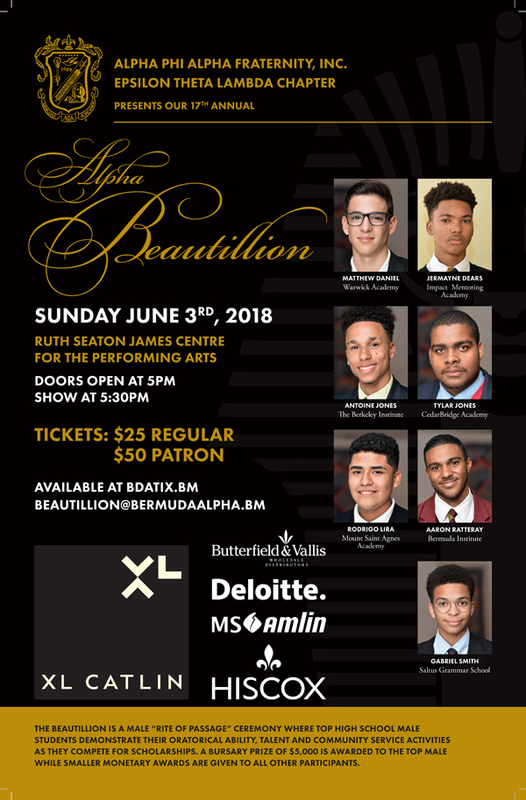 In the first in a series of profiles of the young men competing in this year’s Alpha Beautillion, we spotlight Antoine Jones from the Berkeley Institute. These quotes above are two forms of motivation that Antoine uses to help him when he’s searching for an extra push in life. Antoine Jones is a Leader at heart and is known for being outspoken, empowering and very caring. Antoine was born on July 28th 2000, which he describes as one of the best birthdays as every four years it falls on the first day of Cup Match. Antoine is the youngest of three siblings. Antoine Jones is no stranger to social media and the challenges it presents for young people. Being bullied throughout his childhood, he found himself isolated. This was enough to help him find his own spark, turning anger, melancholy & tension into positivity, innovation, confidence & charisma. With a new outlook of himself, he envisioned younger generations having the same views, using Social media as a tool to inspire children and adults. This then led him to be recognized as the youngest Most Fascinating Person in Bermuda. Antoine Jones demonstrates being a leader as somebody who is true to themselves while displaying leadership qualities whether its being the first one to read in class, organizing an entire leadership conference or a simple act when nobody is watching. hroughout this journey, Antoine has inspired youth by traveling to local schools speaking as a career role model. He has been invited to be the keynote speaker at both of his alma maters, Francis Patton & Whitney Institute. In a short span of time, Antoine has continued on a path of leadership. He is currently the Deputy Head Boy, a Member of the Prefect Council, Principal’s List recipient and The President of the Student Council where he received over 150 votes from his peers. Antoine continues “In The Know With Antoine Jones” which has enabled him to travel abroad, meet dignitaries and most importantly do what he loves which is to inspire people. His advice to everyone is to “Embrace your true personality, and be you! Well done Antoine! Very inspiring. Will cheer for you at the ceremony!